Hematite is a grounding stone. It helps keep you connected to the Earth plane so that you can more easily apply your spiritual learnings to your daily life. 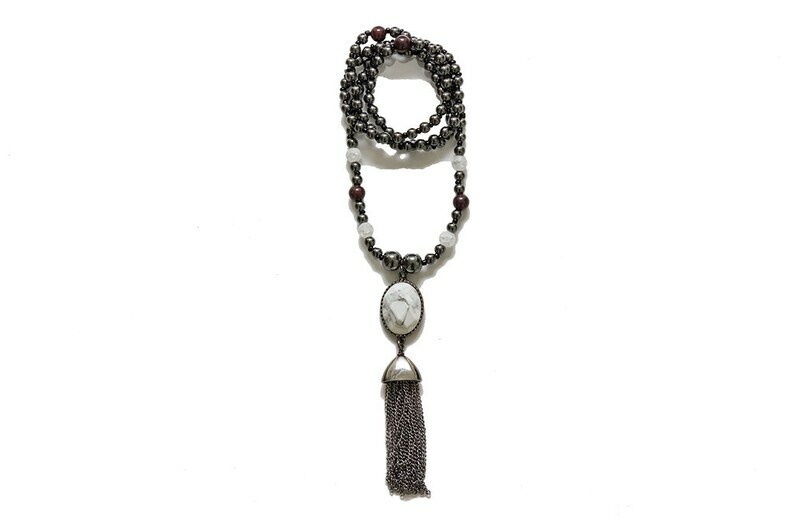 This mala brings mental organization. It decreases negativity bringing balance to the mind, body and soul. This mala is excellent for stimulating the mind and evoking deep thought. Mini Mala - "Classic Heart"